GIGANTE SPENT OUR 30th SEASON WITH YOU! We at Theatre Gigante look back very fondly at our 30th Anniversary Season – which was wonderfully ambitious, successful, and full of interesting and innovative projects! Beginning with August 2017, Gigante participated in Milwaukee’s 2nd Fringe Festival by presenting Frank O’Hara’s LEXINGTON AVENUE, set to music by clever, playful and talented Jason Powell, and charmingly performed by Jason, and Erin Hartman! In September & October, Gigante’s production of I Am My Own Wife, written by Doug Wright, premiered under the direction of Isabelle Kralj, and was exquisitely performed by Michael Stebbins. This one-man play, which won the 2004 Pulitzer Prize for Drama, was a wonderful vehicle for Michael, who beautifully embodied Charlotte von Mahlsdorf, and some forty other characters in a tour de force performance! November brought another triumphant performance, 7(x1) Samurai, created and performed by David Gaines, a graduate and former teacher of the Jacques Lecoq International Theatre School. David dazzled the audience with his one-man interpretation of Kurosawa’s film Seven Samurai, in which he deftly and hilariously played, not only many characters, but entire armies. It was a marvel to behold! January and February brought the world premiere of Metamorphosis, created and directed by Kralj, inspired by Franz Kafka’s novel of the same title. Hailed by audiences as perhaps Gigante’s finest work to date, the stellar cast, which included dancer Edwin Olvera and actors Ben Yela, Selena Milewski, Hannah Klapperich-Mueller, and Ron Scot Fry wowed audiences with their superb and precise performance of this captivating hybrid work in Gigante’s typical style. Performances were met with spontaneous standing ovations, and perhaps one of the longest post-performance talkbacks ever recorded J. Stimulating, lively, and thought-provoking discussion with the audience lasted as long as the performance itself, inspiring all of us involved in the production! February also brought about another season of Gigante’s ever-so-popular performance, Peter & the Wolf & the One Man Band, performed for 1st graders throughout Milwaukee and Waukesha Counties through the Milwaukee Symphony ACE (Arts in Community Education) program. In March, Gigante delighted audiences with Slovenian playwright Rok Vilčnik’s Tarzan, performed by Kralj, Mark Anderson and Don Russell. This wildly funny, yet incredibly poignant, play covered the whole gamut of human [and animal] issues and emotions, through the eyes and experiences of an aging Tarzan and Jane, and a talking hyena named Mike. The Slovenian Consul General, Mr. Andre Rode, attended the opening night performance. Rok Vilčnik made the trek all the way from Slovenia to be a part of the opening weekend festivities, which included a WUWM interview and a post-performance talkback in which he charmed audiences and performers alike! March also initiated a brand new Gigante children’s show, performed for 3rd graders (also through the Milwaukee Symphony ACE Program), titled Building Theater the Gigante Way. This program teaches children, through poetry, to look at theater with a more holistic approach, using the tools of text, music and movement in various combinations. The schools liked it, and the show has now been added to the ACE roster of performances! April was a good month for a reading of Spalding Gray: Stories Left To Tell at the dynamic and exceptional retirement community of St. John’s on the Lake. 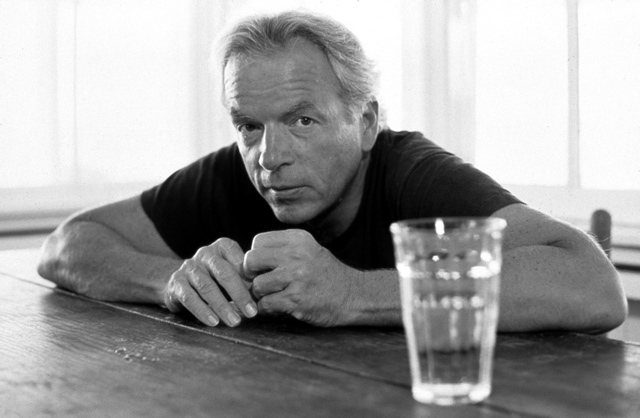 The delightful reaction, and lively talk-back that followed, inspired the scheduling of Spalding Gray: Stories Left To Tell in this current 2018-19 Season! June was rich and exciting, as Anderson performed one of his witty and clever monologues, Retrospeculative, at a reunion at Grinnell College in Iowa. The engaged audience rewarded Mark with awesome and insightful post-performance commentary. A good time was had by all! A good time, in June, was also had by Kralj et al, as she participated in Door Shakespeare’s 2018 summer season. 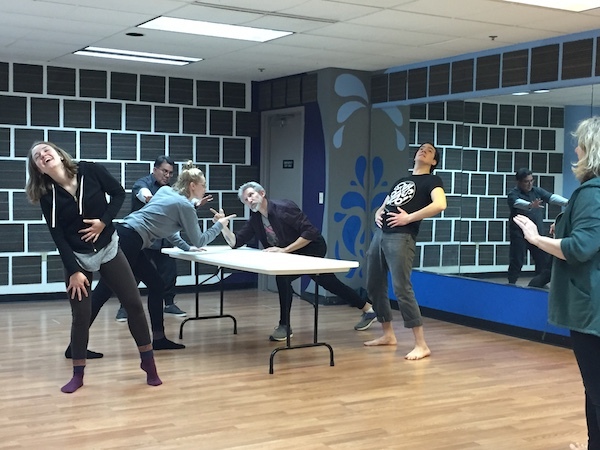 Kralj choreographed the production, Much Ado About Nothing, directed by Joe Hanreddy under the able and loving eye of Michael Stebbins, the newly appointed Artistic Director of Door Shakespeare! Also involved in the production was Gigante regular Ben Yela, who performed in Much Ado About Nothing and Comedy of Errors. As you can see, the 2017-18 Season was productive, successful and wildly eclectic – reaching various audiences, of various ages, in various places. This all comes about because of you! Your contributions and attendance to our events make it all possible, and we are forever grateful that we have the pleasure and honor of creating and inventing new theater with you, and for you! Please consider continuing to partner with us in the creation and presentation of original art by giving a tax-deductible donation in this 2018-19 Season! elegant, magnificent and beauteous Holiday Season! Help make many more performances possible. and watch your dollars turn into new art! Theatre Gigante is thrilled to present the U.S. premiere of TARZAN, written by award-winning Slovenian playwright, Rok Vilčnik, and translated into English by Isabelle Kralj, Mark Anderson and Melita Koletnik. TARZAN, which runs March 16-24 at Kenilworth 508 Theatre is directed by Wes Savick, with lighting design by Eric Appleton, scenic design by Rick Graham, and costume design by Marion Clendenen-Acosta. The performers include Anderson, Kralj, and Don Russell. In TARZAN, Vilčnik brilliantly plays with reality in a world where hyenas can talk Human, an older Jane can get pregnant, and Tarzan comes close to losing his position as Lord of the Jungle, all the while broaching questions and issues that are very real in today’s world. The foundation of the drama played out in this black comedy is the most basic intrigue found in the relationship between two lovers – in this case, Tarzan and Jane. As in most romantic comedies or melodramas in the theater and film worlds, Tarzan and Jane clash with witty dialogue as they struggle with communicating, unsatisfied desires, jealousy, and the question of whether or not to have a child. Placing the drama in the middle of the jungle gives us a strange new perspective on these issues – a twist – yet at the same time we find them completely familiar and recognizable. Vilčnik compounds the drama by weaving into these existing complexities of the relationship questions about humanity, societal norms, happiness, stereotypes, and the boundaries between the human and animal worlds – which are far from being as clear to us as we like to think. Rok Vilčnik, also known as rokgre, is a Slovenian writer, playwright; poet, songwriter and screenwriter, living in Maribor, Slovenia. He started his career as a painter and earned a BEd in fine arts. Due to a hand injury his career took a turn and he started writing. He has been a freelance artist ever since. Mostly known for his plays for adults and children, Vilčnik is also a novelist, a poet, a founding member and songwriter for the popular Slovenian bands Patetico, Papir, and Pliš, and a songwriter for various Slovenian singers. He was recognized by the city of Maribor for his cultural achievements, particularly for his book of plays, titled American Trilogy, with the Glazer Charter award (2014). Vilčnik is also a three-time recipient of the Grum Award for Best New Slovenian Play (2000, 2008, 2016), and a recipient of the Slovenian Noble Comediographer award (2004). This prolific Slovenian artist has written twenty plays, three radio dramas, four television series, three books of poetry, three novels, and three children’s plays. Now in its 30th year, Theatre Gigante enlivens the local performance scene with its unique style of original theater – often referred to as the Gigante Style – in ways that are thought-provoking, compelling and entertaining. The company has a strong history of dynamic collaborations with nationally and internationally known musicians, visual artists, composers, and performers. 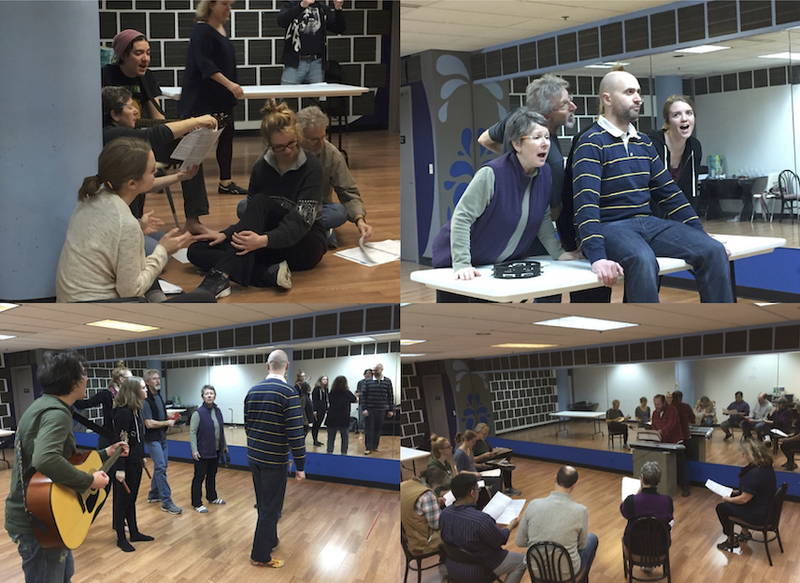 This boutique theatre of big ideas is exciting, challenging, and fresh. Isabelle Kralj and Mark Anderson have been contributing to the Milwaukee arts community for over thirty years, separately, then together. They are first and foremost storytellers, and they use their diverse/eclectic backgrounds to bring many styles and genres to their finished products. In 1996 the two became an artistic team. 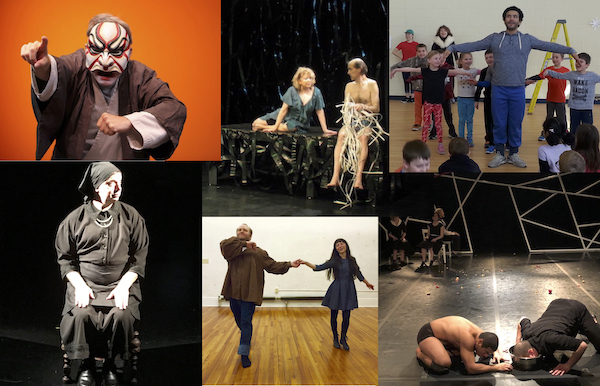 Since then, they have written or co-written over forty theater works, and developed an innovative, unique signature style of experimental, hybrid theatre. Don Russell is a member of Cooperative Performance and currently serves as Chair for their Board of Directors. 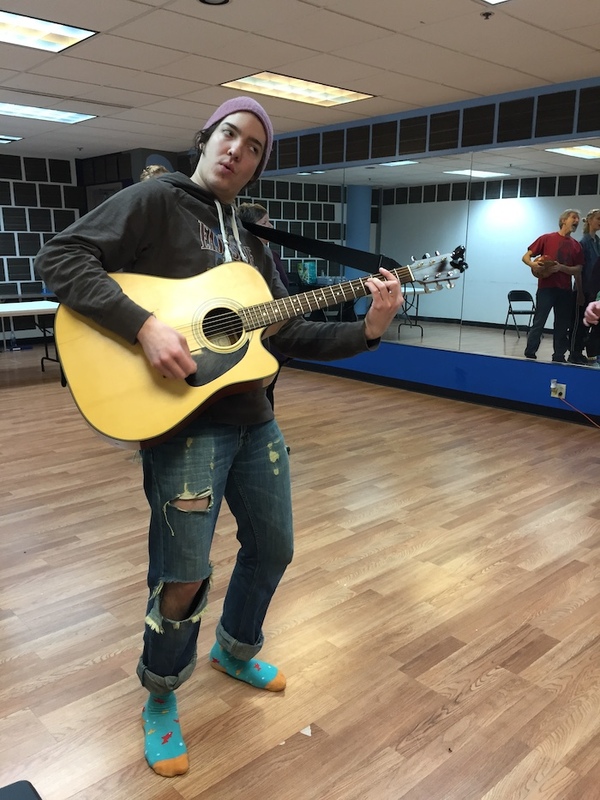 Through Cooperative Performance he has had to the opportunity to write, direct, and perform in several innovative performance works and to build relationships with many artists in Milwaukee’s performing arts community. Recent performances include Cambrian with Cooperative Performance, Animolecules with Quasimondo, Cloud of Gnats with Kathryn Cesarz, and Real-Time with Andrea & Daniel Burkholder. This is Don’s first appearance with Theatre Gigante. TARZAN is made possible in part by the Wisconsin Arts Board with funds from the State of Wisconsin and the National Endowment for the Arts, UPAF, Milwaukee County CAMPAC and the University of Wisconsin-Milwaukee Slovenian Arts Council. When Gregor Samsa awoke one morning from troubled dreams, he found himself changed into a monstrous cockroach in his bed. Thus begins one of Kafka’s most Kafkaesque novellas! Based on Franz Kafka’s novella by the same title, Gigante’s METAMORPHOSIS explores the deep and disturbing effects of alienation, as it relates the bizarre story of Gregor Samsa, who one morning wakes up finding himself turned into a monstrous, verminous bug. Isabelle Kralj’s heightened cartoon-like interpretation, told through text, music and movement, dances along the edge of horror and humor. To underscore this cacophonous and highly stylized adaptation of the story, Kralj has incorporated music by Slovenian composer Borut Kržišnik. Intensity, diversity and exciting changes are the main characteristics of his music, and his profound stylistic eclecticism is absolutely perfect for Gigante’s production. Hailing from Ljubljana, Slovenia, Kržišnik is an internationally respected composer, perhaps best known for his work with British film director, Peter Greenaway. Alan Piotrowicz, a well-known Milwaukee lighting and set designer, will add his talents to the production with his minimalist set and expressionistic lighting design. Alan last designed for Gigante in 2015, when he created an intense atmosphere for Gigante’s production of Terminus. Costumes are designed and constructed by Gigante’s longtime designer Marion Clendenen-Acosta. METAMORPHOSIS, directed by Kralj, is rounded off with her choreography and the improvisational contributions of dancer Edwin Olvera – a Gigante regular and a member of Pilobolus, an internationally acclaimed dance theater. In addition to Olvera, the talented cast includes Gigante regulars Ben Yela and Ron Scot Fry and newcomers to the Gigante stage, Selena Milewski and Hannah Klapperich-Mueller. Metamorphosis is made possible in part by Wisconsin Arts Board with funds from the State of Wisconsin and the National Endowment for the Arts, UPAF, and Milwaukee County CAMPAC.